Baby’s first year is a whirlwind of fun milestones and magical discoveries. Since 2009, we’ve help parents celebrate every stage and savor the moment just a little longer. 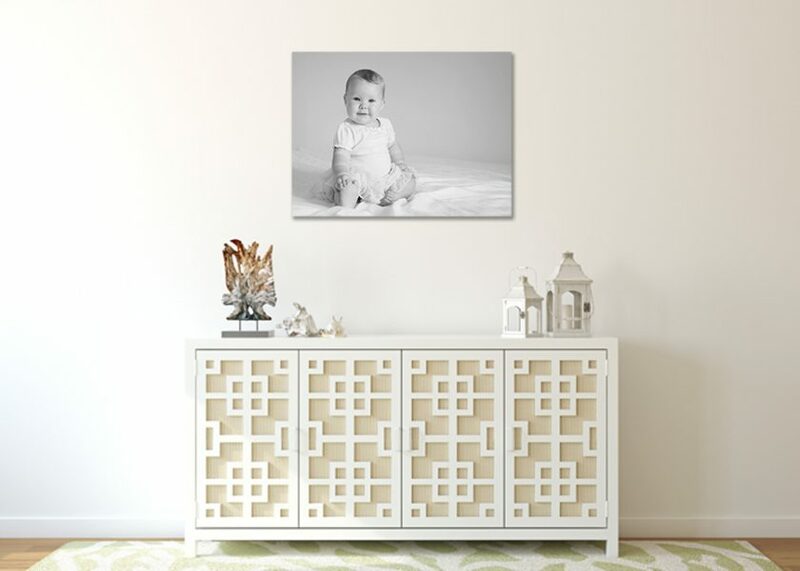 Through simple modern portraiture, we keep the focus where it should be- on your baby. What ages should my baby be photographed at? Newborns are photographed at 7-10 days old for sleeping poses. After 14 days, babies tend to be more alert. During the first year, parents may decide to schedule sessions around baby’s age (3, 6, and 12 months) or by milestones (pushing up, sitting unassisted, and standing). When should I schedule the consultation? Call the studio by 34 weeks of pregnancy so we can schedule the consultation and we can have your newborn session penciled on the calendar. Once you get home from the hospital, call again the schedule the date. Do newborn sessions take place in the studio or at my home? Your choice! Most parents of multiple children prefer in-home sessions to allow their children to play while I photograph the baby alone. Yes! Your baby’s safety is very important. To protect newborns, I get a flu shot every year and take safety precautions to keep my smallest clients from getting injured or sick during the session. Newborn portraits may last up to two hours to give time for cuddles, feeding, and coaxing them back to sleep. Milestone sessions are up to an hour in length. I encourage families to make their session unique by providing their own props. By using nursery décor and family keepsakes, we can create portraits with deeper meaning than cookie cutter props. How much should I invest in my portraiture? Baby portraits start at $250 with most families investing $800-1000 in their portraits. Yes! Book at least three sessions and you’ll receive special baby plan pricing.